I was groomed for motherhood. I was the person that everybody saw and said “I can’t wait until you’re a mom! You’re going to be the BEST mom!” To be honest, I believed that myself with every ounce of my being. If you had asked me at twenty years old I would have confidently told you that I was quite certain that I would be able to mom with my eyes closed! I was groomed for motherhood, after all. You would be hard pressed to find a better example of a mom than the one that I had growing up. 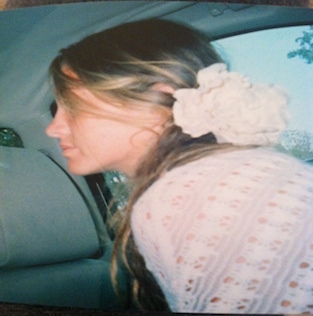 She was and still is as close to perfection as moms come. My appreciation for her grows greater with every passing year but in many ways, my understanding of her becomes less and less because I continue to be blown away that she has been capable of doing all that she has done for all of these years and that she has done it all so flawlessly. She is the mother of all mothers. More than my spectacular example of motherhood, though, was my own adoration of children. From the time I was old enough to babysit, I almost always had somebody’s child on my hip. I loved babies and I would sniff them out in a room of a thousand people! I was good with them, too, from a very young age. I was good. Momming. Eyes Closed. I got this. I was a nanny through most of my teenage years and I had several close friends who had babies as teenagers. I played a big role in their lives and helped in whatever ways that I could. I drove my Nissan Maxima to high school with two car seats in the backseat. I was known for my kids. Mine. I loved them so. By the time I actually became a mom I had changed more diapers than some moms change in the first two years. I had caught puke in my hands or down the back of my shirt. I had washed poop out of my shirt and continued to wear it for three more hours. All of those things that make first time moms gag? I had experienced most of them with someone else’s child before I turned eighteen. Momming. Eyes Closed. I got this. I felt “down” for most of my pregnancy. I gave myself grace and allowed myself to work through my feelings and I was proud of myself for that. 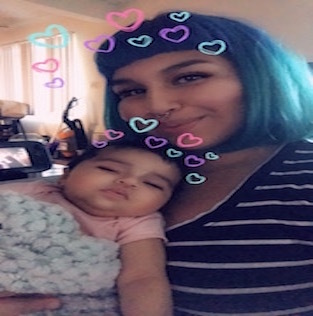 I knew enough about postpartum depression to worry that it might happen to me but I also thought that there was a really good chance that once my son was born everything would be absolutely and completely fine. I knew about POSTpartum depression. I didn’t know about perinatal mood disorders as a whole and I didn’t recognize until many months later when I was able to look back on my pregnancy that my feelings of being “down” during almost the entire length of my pregnancy were severe. I hadn’t been down. I had been severely depressed. It didn’t take many months for me to recognize what was happening after he was born, though. I knew. I knew because every single day I looked at him and I thought this little baby was really cute but his real mom and dad could come and pick him up any day. I was done. He was cute and the snuggles were fun for a minute but I was done. I was ready for his real mom and dad to come get him and there wasn’t a very big part of me that felt like that real mom was me…so I knew. I knew I needed help. My journey out of postpartum depression and back to my son was long and hard and there were days that I swore I wasn’t going to make it. There was not a light at the end of the tunnel. There is NOT a light at the end of the tunnel when you are in that darkness. When I hear women who share that they never asked for help because they were scared or they waited until their child was seven, eight months old because they thought maybe it would go away on its own…it makes my heart ache. I asked for help when my son was only two weeks old and it was still THAT HARD to come up from under the water and breathe again. Asking for help is the first step in a long recovery. It’s never too soon to ask. There is no imaginary window of time that you have to wait before you can ask for help. Ask. Please. Surviving PPD still affects my everyday life in many ways but they aren’t all bad anymore. There are days when I feel that I won’t ever be stable enough to have a second child and in those moments I ask “why me?” There are days when my son wants nothing to do with anybody else in the room except for me and I remember that I am enough and I have always been enough for him. I don’t know what the future holds for me and this little blonde boy of mine but we’re unbreakable, that much I know. Written by Alexis Barad-Cutler Depression, in some form, has dipped in and out of my adult life, like an old boyfriend who, every couple of years, sends you an email or a text that ends up derailing your entire day. Except, unlike with the old boyfriend, the feeling doesn’t go away in a night or two. It lingers around, seeping-black, to take hold and suffocate the air you breathe and erase all the joy you may have found in life before you knew him. 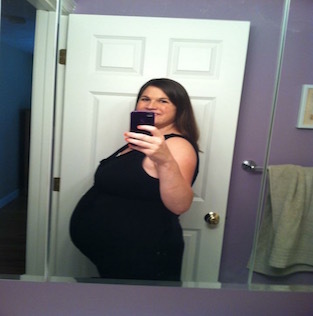 My pregnancy was, besides the seven months of vomiting, a really magical time. Really. We were living at my husband’s grandmother’s house by the beach, and my summer was filled with freelance writing gigs, slow bike rides on the boardwalk, lunches with Grandma, and perfecting my Amazon.com wishlist for when the baby arrived. Sure, I complained about looking like an ogre most of the time, and I had to contend with gestational diabetes — but my mood was the best I could ever remember feeling. Maybe in my entire life. Those pregnancy hormones did me good. Fast forward to my son’s birth. An emergency c-section landed me, unprepared for nearly a week’s stay in the hospital. Even though I had known that a c-section was a possibility when it came to delivery methods, I had pretty much tuned out that it was a possibility for me. I thought I had done everything to avoid surgery — from watching my sugar intake (re: the diabetes), to having a painful procedure procedure a few weeks before my due date to turn my breech baby. On the day of my son’s birth, the doctors noticed something strange with his heart, and we spent that first day taking him for tests with the pediatric cardiologist, and feeling like our whole world might come crashing down at any moment. He turned out to be OK, but all that rest that I had been told to do after the baby was born? Well, being scared shitless kind of takes any ability or desire to relax out of the realm of possibility. When friends and family visited, I mainly took it as an opportunity to share my war story. I cried most of the day, through almost all my visits. I felt so, very sorry for myself, and what my body had endured. 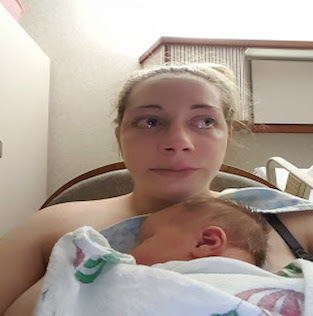 I didn’t understand what had happened, or what I had done “wrong” to deserve a c-section. I found it impossible to stay still, rest, or sleep, the first week in the hospital, (and later, at home with my baby). I gave myself lists of tasks to do from my hospital bed: journaling, taking pictures, emails, doing those breath exercises they instruct for you to do, writing every single thing my baby did down. And when I came home, it was worse: I sat with all the books, highlighter in hand, thinking that if I studied up on what babies are supposed to do, I could somehow guarantee that I could make my baby fall in line. I don’t remember much about my c-section incision, or the pain. I popped painkillers as instructed, and wasn’t shy about it. What I remember is the screaming. My baby never stopped crying, it seemed. Looking back, I did myself a great disservice by constantly trying to put him down in a bassinet or a crib — as the books said to do — knowing that he was perfectly happy in my arms. He wouldn’t sleep at night unless we held him, but we were terrified of sleeping with him, so instead I stayed awake the entire night, fighting him to sleep. As each day passed, I felt myself getting more and more depleted. I became vigilant about pumping. I busied myself with the task, about three to four times a day. I was already looking forward to some future time when I would not have to be available to this creature who seemed so ungrateful for all the trauma I endured on his behalf. 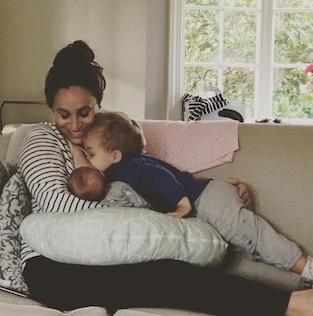 By the time we moved back to Brooklyn, when my son was about 5 weeks old, I had hired the first nanny I interviewed and gave her my baby without so much as a glance back. I ran out of my building, eager for freedom and agency. I never wanted to go home. The nights that awaited me felt like absolute terror. I began to formulate strange thoughts. I didn’t say them aloud to anyone, because I knew they sounded completely bizarre, and I chalked them up to being a creative person, and sometimes just a weirdo. During one of my early OBGYN appointments, my wonderful doctor noticed that something was terribly off. I had done my best to hide this darkness from the people around me — maintaining my funny, sometimes goofy demeanor throughout that time. She looked at me, with my legs dangling from the exam table, my baby making that beginning-of-a-cry coughing sound. She went down a checklist of questions doctors ask patients who might have postpartum depression, and it was like she was reading my mind. There it was: “Do you have thoughts that your baby is trying to cause you harm? Do you regret having had your baby?” Until that moment, I had had no idea that what I was feeling was something other people might have experienced. I thought I was special. But in all the worst ways. It took some convincing of family members, and my husband, that I had a clinical problem that required medication. 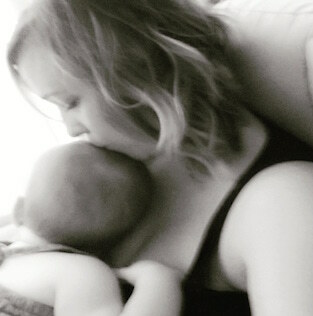 The thought of my taking antidepressants while breastfeeding concerned my husband greatly. We both went to my meeting with a psychiatrist who specializes in postpartum depression and breastfeeding, and felt comfortable with the plan she created for me. I went on Zoloft, and found almost immediate relief. A few weeks later, my son and I were alone in my kitchen, where I had placed him on a little blanket on the countertop (yes, I know, but he was fine) while I tidied up. I put on a Regina Spektor album, and the song “Samson” came on. I had the urge to pick up my son, and start dancing, like I had always imagined happy mothers did with their babies, in kitchens all over the world. We had never danced before. I swayed, and held him close, and began to cry — but it was the first time I was crying while being happy at the same time. I looked at his face, and my heart swelled the way people had always said it would — and that was the moment I realized I was getting better, and it was also the moment I fell in love. For more from Alexis, visit Not Safe for Mom Group.